There are two types of zooming: optical or digital zoom. Optical zoom works by changing the lens’ focal length. Digital zoom works by cropping the center portion of the image. Optical zoom can make a distant object clearer by increasing the angular resolution of the optical system. A distant ship will appear sharper and clearer after being zoomed in. But it will never reveal more of it. 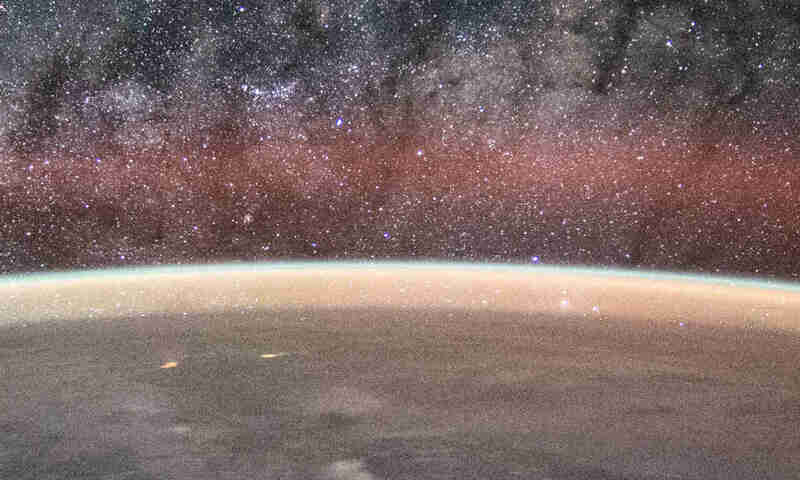 If it is behind Earth’s curvature, then it would still appear there after zooming. The same thing applies to the Sun. Contrary to everyday observations, the Sun never sets in any flat-Earth model. They ‘work around the problem’ by inventing an explanation that a sunset appears because of perspective and refraction. 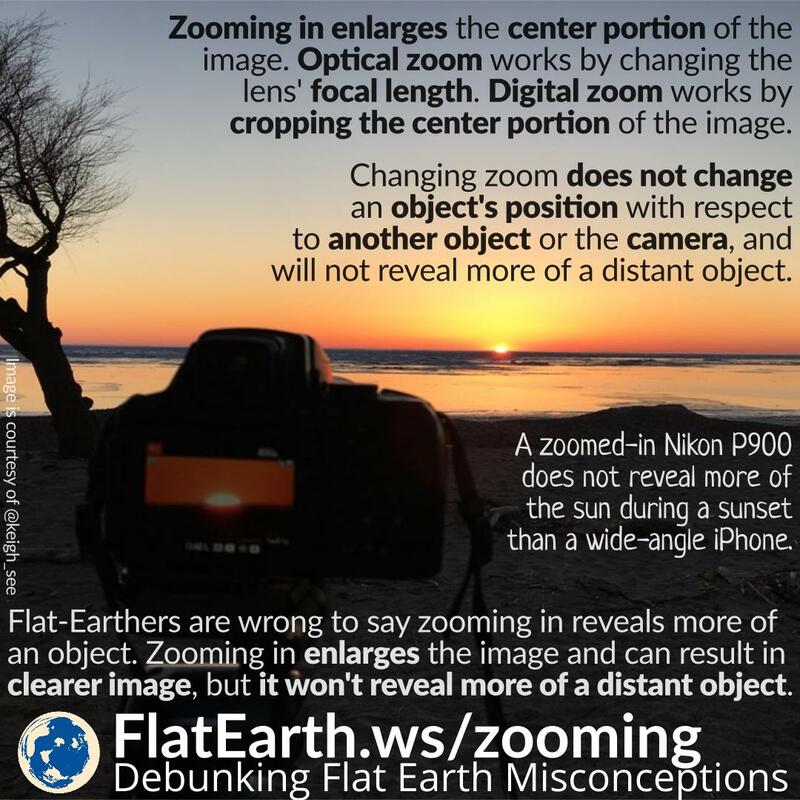 They claim it is possible to reveal the sun by zooming after sunset. They are wrong. No amount of zooming can reveal more of the Sun after it goes behind the curvature.